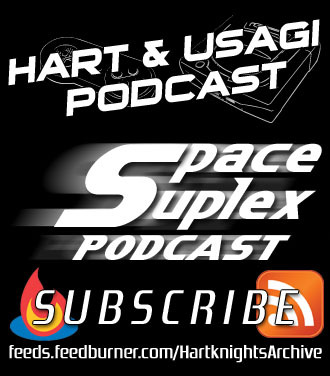 On episode 86 of the Hart & Usagi Podcast we chat about a variety of topics like warranty voiding and more collections coming your way. This entry was posted in Gaming, Podcast, Politics and tagged donkey kong, final fantasy, ftc, god of war, hart & usagi podcast, madden, mega man, microsoft, night trap, nintendo, nintendo switch, sony, spacewar, street fighter, tomb raider, yakuza. Bookmark the permalink. Video Game Hall Of Fame Adds Four More Games – I get why these games were selected, but I’ve played none of them. I think I played the first level of Tomb Raider years ago, but that was about it. Legend was my first serious delve into the series (which was great) but I never came back until the most recent series launch (also great so far, and I’m looking forward to Shadow). God of War – I enjoyed it more than I thought I would, but not as much as I hoped I would. And they did a great job with utilizing Atreus and make him an integral part of the game-play.